Day 103's thing I've never done before is write someone else's blog. My former colleague and Comcast Sports Assignment Editor Gary Bender came up with the idea and I accepted the challenge, happily. I'm not even sure I've mastered how to write my own blog, and all I'm doing is writing about myself. Writing a sports blog is another thing entirely. I was terribly intimidated, fearing that crazy sports fans would dump all over what I had to say. But I agreed to do it, and I wrote what I know. 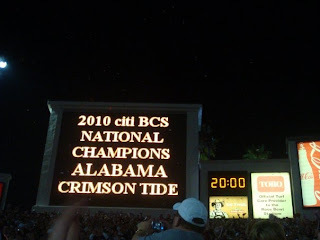 I wrote his blog the Friday after the National Championship football game between the University of Alabama. On Saturday morning, my dad called me, sounding terribly excited. "You know Gary Bender?!" he asked me. It sounded like he wanted to jump through the phone. I was confused (I find that I'm confused a lot, have you noticed?). My mind was racing. How does my dad know Gary Bender? Is Gary Bender famous now? Was he famous when he worked beside me and I just didn't know it? Apparently my Gary Bender is not the Gary Bender that my dad was talking about. That Gary Bender is a famous sportscaster. My Gary Bender works in sports in Washington, DC, but is not a famous sportscaster. Not yet, anyway. Though I appreciate the opportunity given to me by my former colleague and true author of this blog, Gary Bender, I must confess that I have no idea how to write a blog about sports. I like sports and I would say I know a little bit more about sports than the average woman. But I certainly don’t know stats, and I can’t recall team rosters from five years ago. I have opinions (like yes, I think there should be a playoff system instead of more than 30 different bowl games), but they are all based solely on how I feel and I can’t back any of them up with facts. So brace yourselves, this is going to be a sports blog, written by a woman. I know you're thinking, "Ugh...it's going to be emotional, she'll probably cry and talk about her feelings." And, you're right. But that's not because I'm a woman. That's because sports are emotional. I can turn on a game between two teams I don’t care about and within five minutes, I will have picked a side and have already become emotionally invested. When they show the disappointed looks on the faces of the losing team, I lose it. I once burst into tears when South Carolina (my brother’s football team) beat the University of Georgia (my football team). My brother Jeff was so excited, he bear hugged me in the middle of campus and I fell on the ground, sobbing. I’m not sure if the emotion was a result of the game, or all the beers I drank at the tailgate, but there were an inappropriate amount of tears shed. He’ll deny it, but the only time I’ve ever seen Jeff cry is when he watches the movie, “Rudy.” When everyone starts chanting, “Rudy! Rudy!” as he takes the field on one of the last plays of the game. So emotional. When asked what the best part of my golf game is, I’ve always said, “definitely my outfits.” My game is inconsistent on my best day, and completely terrible most of the time, but when the club connects with the ball and sends it soaring, my heart swells and that feeling, that emotional high is why I continue to put myself through the agony of the game. Speaking of agony, I'm pretty sure Tim Tebow wasn't the only one crying after Florida lost the SEC championship. It's emotional to win, and emotional to lose. All the money, all the time, all the years being taken off my life during close games or heartbreakers that don’t go my way all to compete in and watch sports. Sometimes I have to wonder, why do I continue to put myself and my emotions through it? Several of my friends headed to Pasadena on Wednesday for last night’s National Championship game. 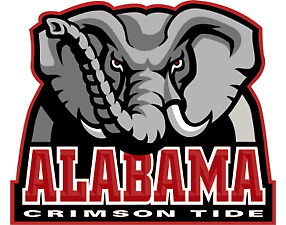 They spent a lot of money and traded in their vacation days, all to cheer the Alabama Crimson Tide. One of my friends said, "I'm really nervous that I'm going to get over there and Alabama's not going to show up to play." Well, there is always that chance. All of the people who got on planes to Pasadena for the game, did so with the understanding that there was a 50/50 chance they could come back disappointed. Still, the loyal went, with hope that they would return a national champion. The game was emotional for both teams. The game was up and then it was down, and players on each side played with heart from start to finish. I went into the game pulling for Alabama all the way (I’m a conference girl, what can I say? ), but when Colt McCoy injured his shoulder early and true freshman Garrett Gilbert stepped in, my emotions took over and soon I was pulling for this kid, who looked like a deer in headlights. I wanted him to do well or at least make the game close. I couldn’t shake the idea that at just 18 or 19-years old, Gilbert's performance was going to directly affect the mood of half of the people in that stadium and thousands more watching him at home. If you can’t get emotional about that, then your heart might be made of stone. Depending on what team you cheer for, sports can be like a dysfunctional relationship, full of emotional games and disappointment. A handful of ESPN highlights tossed in with a whole big bag of missed opportunties, penalty flags and personnel changes, does not a healthy relationship make. I was raised a South Carolina fan, so my family knows this disappointment. We know it well. Here comes the really girly part where I’m going to use sports metaphors, FYI. 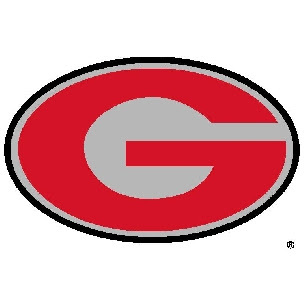 Like I do for my golf game and cheering on my favorite team, I continually invest time, money and emotion into people and relationships, only to find that sometimes they offer the same disappointment that my beloved Georgia Bulldogs often do. Some turn out to be fair weather fans, some would prefer to just drink at the tailgate and not go to the game at all. And as is the case most recently, some leave the game at halftime while I'm still cheering in the stands. I wasn't expecting him to buy season tickets, or get a logo tattoo. I just wanted to know that we were still at the same game, still rooting for the same team. I don’t necessarily need a National Championship title every year, but consistent winning seasons and a sincere desire to play would be nice. I can deal with the rebuilding years, the difficult road games, the injured players, and coaching changes. I’m very loyal, in sports and in life. 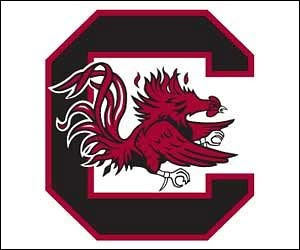 Just like my dad and brother still believe, every year, that this is the year for the Gamecocks, we all go into seasons, and relationships thinking thst this could be a really special year. More often than not, that’s not the case, but it doesn’t mean we should stop investing. Along the way, there will always be disappointment like Colt McCoy’s injury and subsequent early departure from the title game of his senior year. There will definitely be surprises, like Garrett Gilbert’s 186 passing yards and two second-half touchdown passes. And just when you start to think that every fan has let you down, there is triumph, like Mark Ingram, rushing for 116 yards and becoming the second player to ever win the Heisman Trophy and a National Championship in the same year. So keep on investing, your time, your emotion, your money and don’t give up hope. Your year is coming, maybe sooner than you think. Congrats to the University of Alabama (and thanks Emily, for letting me use her picture for this blog). Labels: Dad, Emily R., Gary, Jeff, Mark I.
Glad you could you one of my pics...but I think I need a label at the bottom for that. :) It's kinda like on wires...Emily R. contributed to this report (and Mo is having a little competition to see how many mentions on the blog each of us gets). HA! Tim Tebow should have been tagged in this one as well.